Our emotions are real. They are an integral part of who we are and how we become what we will be, but they are not who we are or what we will be. Emotions are like clouds passing across the sky, here for a moment and then gone. Do not put too much emphasis on such temporary qualities. 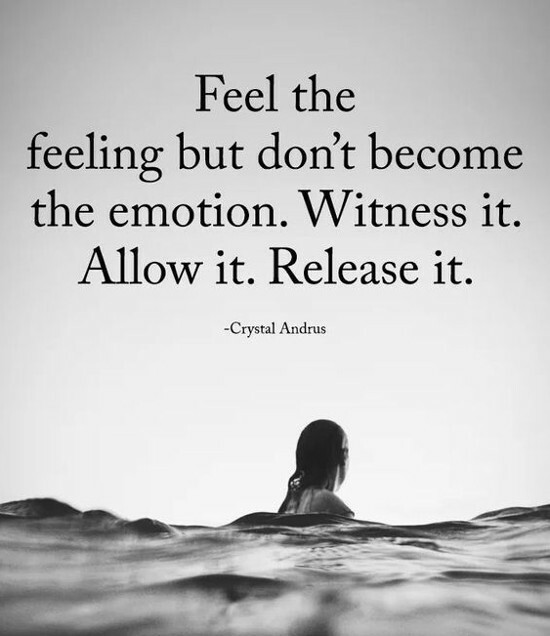 Feel your emotions, acknowledge why they are there and what you can learn from them, then allow them to be on their way. You have other experiences to come.